Although she isn’t as well known or popular as either Scarlett and Lady Jaye, I took a special liking to Cover Girl. 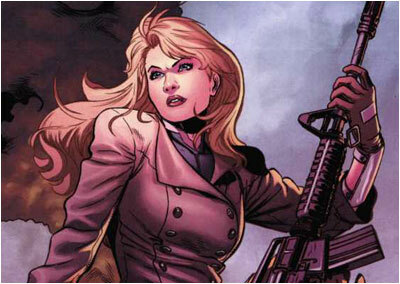 In my opinion she had a more interesting back story. While it was initially planned for her to be called “Hurricane Helga”, Courtney Krieger got her official code name because she was literally a “cover girl”. 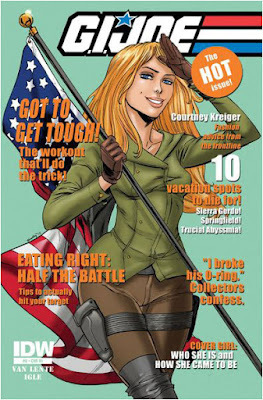 Before joining the ranks of G.I.Joe, Cover Girl was a highly successful fashion model and graced the covers of numerous magazines. Eventually she got tired of the modelling world and seeking something new signed up for a military-themed reality TV show filmed at a remote location. To her surprise she found out that she really enjoyed combat and was really good at it. During filming though, the crew was taken hostage by Nanzhaonese pirates. Fortunately, using her quick wits and apparent skills at camouflage, killed the pirates one by one (Die Hard style) which greatly impressed a fellow contestant who was a former military man himself. He recommended she join the military for real and the rest is history. While this may sound a bit hokey and fodder for numerous jokes about a fashion model driving around in a tank, based on her filecard it showed that she put in all the time in effort to get herself more than qualified for the gig. I don’t know about you but that’s enough for me to hand over to her the keys to the family tank. How’s that for challenging a negative stereotype? Ironically despite her obvious skill at operating heavy machinery and mechanical work, because of her previous occupation, she is also often tapped for missions requiring undercover work. Another detail I liked about Cover Girl was her actual character design. 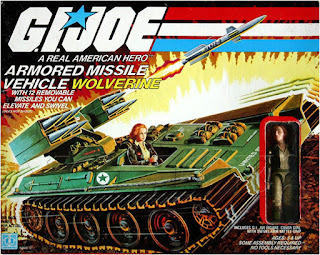 Unlike Scarlett, who had a more superheroine leotard looking uniform, or Lady Jay who seemed to show a little too much cleavage in her bright green jumpsuit, Cover Girl’s uniform looked more practical and more suitable for military combat. Which was ironic considering she was the actual model. 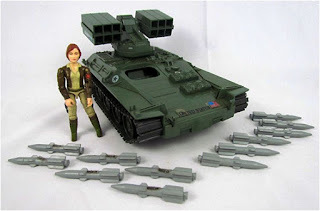 Anyway even if she was not heavily featured in the first animated G.i.Joe miniseries, she did have a very memorable and crucial scene where she pretty much single handedly saved the entire G.I.Joe team from a lethal Cobra fusion bomb…..ok to be fair she had a little help from Snake-Eye’s pet wolf Timber. It’s also worth noting that she looked completely different in her first animated appearance, sporting long blond hair and a green jacket. 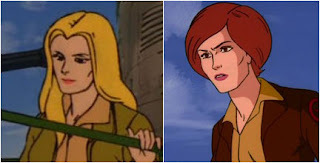 Maybe it was an attempt for animators to differentiate her more from Scarlett, but in later episodes she sported her regular short auburn-colored hair and a dark brown jacket. 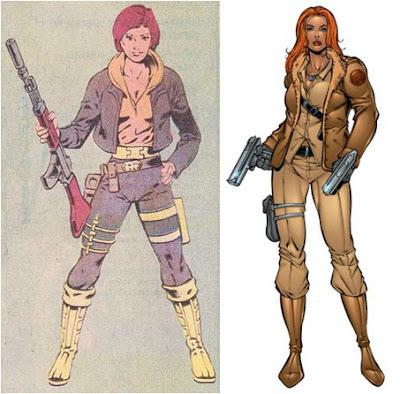 Later versions of Cover Girl, especially in the comics would give her long hair again but maintain the reddish brown color. Well….she was a former model so I guess changing her looks from time to time would be the norm. 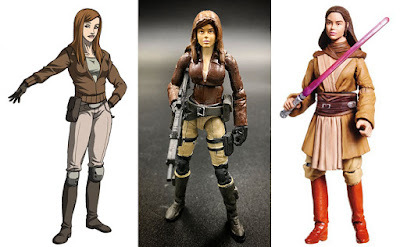 On the toy front, after her original figure, the next update she got was in 2006 when Hasbro released an “Agent Courtney Krieger” figure as part of a 3 pack. At that time I was not yet collecting so I missed out on that, which was unfortunate because when I tried to get myself one years later, she fetched quite a high price on eBay. 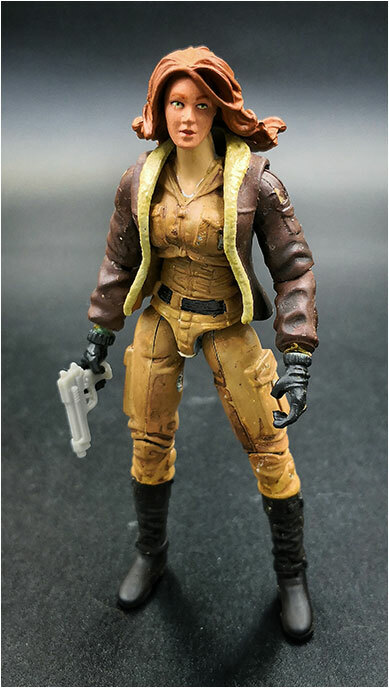 Through persistence and a little luck though, I finally did manage to finally score myself a figure or at least parts of one (the head and the jacket accessory) at a decent price that I used to make my own custom Cover Girl figure that fit better with my 25th Anniversary collection. 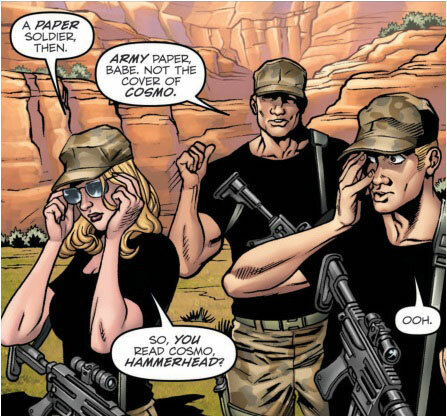 Surprisingly, in 2009, Cover Girl was one of the handful of Joes included in the first live action G.I.Joe movie, The Rise of Cobra. She was played by by Czech model Karolína Kurková. Unfortunately she was more of a peripheral character who was unceremoniously *spoiler* killed off during a Cobra attack on the G.I.Joe base. At least some good came out of it since she got another new action figure out of it. Although it was rather plain with a rather questionable head sculpt. 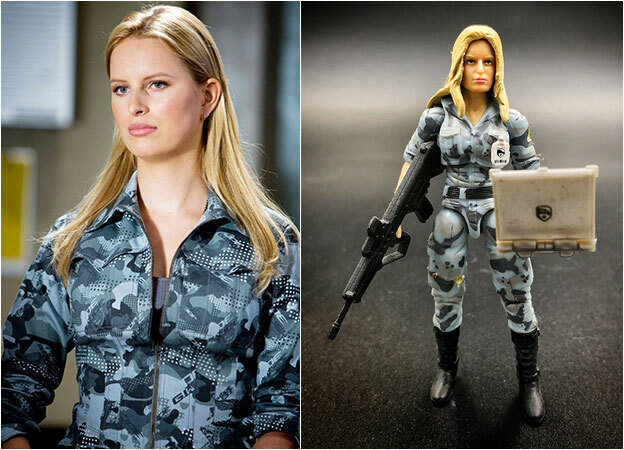 You could have called it “generic female soldier” but at least it came with a cool laptop accessory fortunately without a blade slicing through the screen. 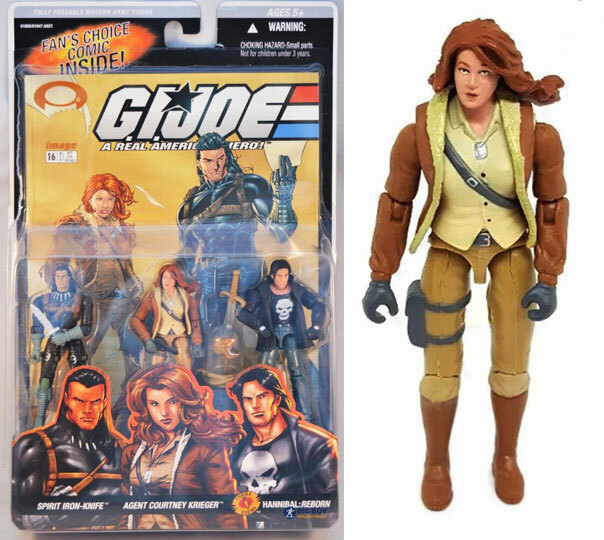 Finally though in 2013 we got an “official” updated 25th anniversary compatible Cover Girl figure which pretty much looked like the custom that I did of her 5 years prior, although this one sported lighter hair similar to her first animated appearance. 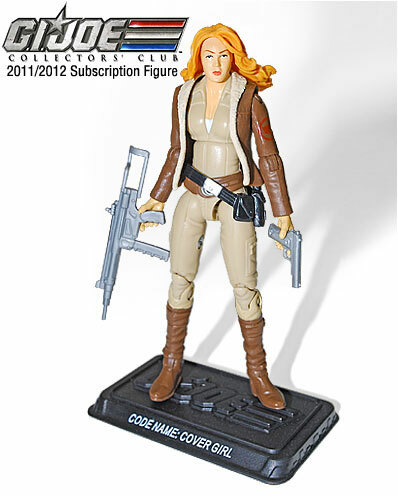 So I passed on this one since it was a part of an online Club Collector subscription service. 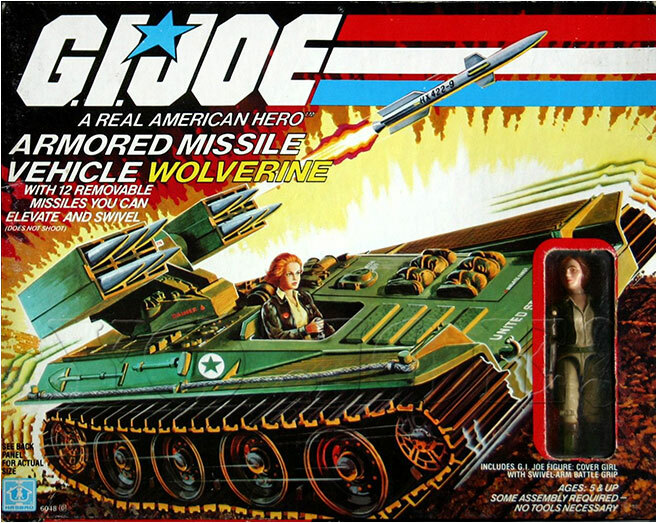 A carded version of this now sells for well over $200 on eBay. I think I’ll just stick to my custom. Anyway to wrap things up, like I mentioned at the start, the Joe (and Cobra) teams weren’t really known for having many female characters in their ranks, so when it comes to identifying who their favorites were, Joe fans are often divided between Scarlett and Lady Jaye. 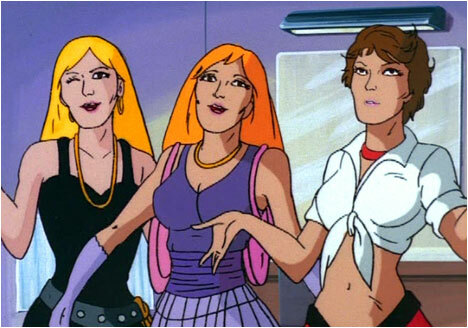 But I’d like to make a case for Cover Girl. 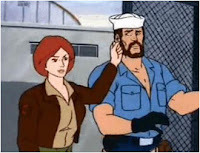 She may not be a ninja like Scarlett, or have an arsenal of cool throwing spears like Lady Jaye, and she may not have a top brass boyfriend like Duke (or Snake Eyes) or Flint, but Cover Girl drives a tank, a tank with a whole lot of missiles which I believe is infinitely cooler…..and apparently she dates a sailor.